By an invitation of the European Union (European Commission, European External Action Service, European Economic and Social Committee), SNHR participated with its representative, and its Director Mr. Fadel Abdul Ghani, in the third meeting of the forum of civil society – The Southern Vicinity, held in Brussels city among two days, 26th and 27th of May 2016. The Conference included several workshops, in which it raised a variety of topics. The most prominent topics were about migration, fighting radicalization, security, and stability. 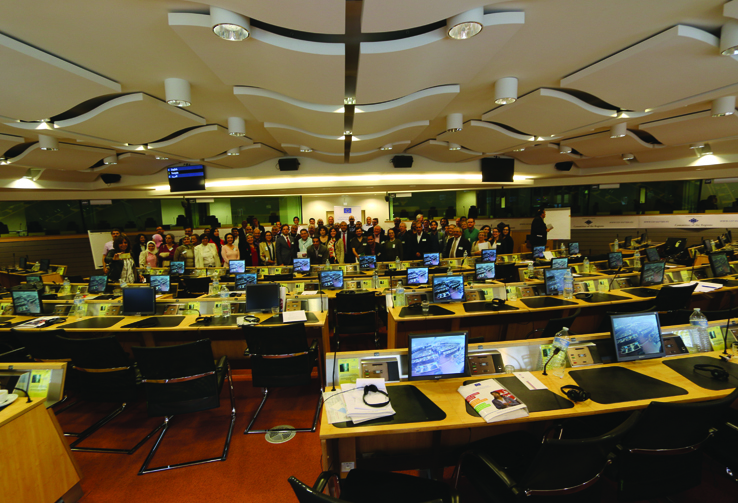 SNHR, during the dialog, turned to put realistic examples of the development of migration and implementing extremism through practical experience in Syria over recent years specifically, its reflection on the European countries, and the need for the European Union to play a greater role in addressing crises in the first place and strengthening of civil society in the southern neighboring in the second place. It is worth mentioning that the second meeting had held in the Jordanian capital “Amman” before several months, and came out of various recommendations which were built upon and benefited from in the meeting in Brussels.